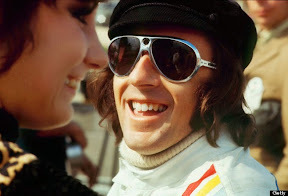 It’d been nearly three weeks since Jackie Stewart had had a decent night’s sleep. Yet unlike others in Monaco in May of 1971, he wasn’t awakened simply by the roar of Formula One motorcar engines speeding around the curvy, curb-filled city streets that were never meant to be driven the same way as a racetrack. 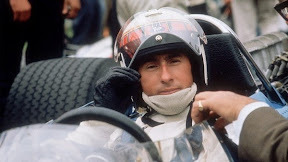 No, for almost three weeks Stewart found himself driven to near-insomnia out of sheer preparation and passionate dedication, scientifically strategizing the precise place he should brake before a turn and figuring out which gear made the most sense for every single maneuver he planned to utilize in his attempt to win the Monaco Grand Prix for the first time since 1966. 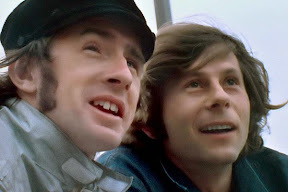 With the added pressure of an untested car thrown into the mix along with consenting to be captured throughout the course of the entire weekend by his good friend, filmmaker Roman Polanski as well as the documentarian Frank Simon (that Polanski has tapped to execute his first foray into nonfiction moviemaking), Stewart’s anxiety is easily understandable. And when you toss in the variable of unpredictable weather that required Stewart to shift his thinking (and his car) on a dime to recalibrate the plan of attack he’d take behind the wheel should he suddenly find himself driving in the rain, you have the makings of a compelling cinema verite feature. 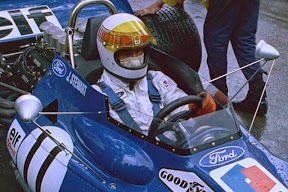 Weekend of a Champion truly brings you inside the pressure-cooker that is Formula One racing and finds a intellectually stimulating subject in Jackie Stewart at the peak of his powers. With the race itself taking a backseat to Simon’s cinematic slice-of-life approach, Weekend zeroes in on Stewart’s fascinating point-of-view. 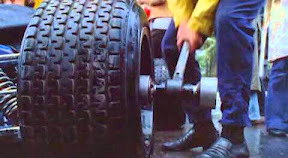 In doing so, Simon illustrates the excruciating amount of mental focus and physical stamina (from the deep blisters received from constant gear changing to the lack of support for the neck) required to make it in Formula One during the horrifically tragic era when two out of three racers were killed in the span of a five-year period. Offering those uninitiated in the sport an unprecedented first person account of just how much of a true art-form racing actually is, when you view it through that lens in retrospect, it’s no surprise that the subject would’ve attracted Polanski enough to serve as the jumping-off point for this intriguing work. Whereas a documentary centered on his own profession may have easily bored him, Champion gives Polanski – through Simon – a chance to indulge his hunger for knowledge and let his imagination go wild. If there’s one thing that Champion has in common with his other work is that it centers on a psychologically focused study of a subject’s confrontation and likewise exploration of a whole new world that typically they’ve never been privy to before. From the devilish goings-on in a nearby apartment (via Rosemary’s Baby), in the seedier side of Frantic’s Paris or the eponymous Chinatown, the heroes and heroines of Polanski’s films are put to the test and must either succumb to or rise above the increasingly dangerous situations in which they find themselves in everything from Knife in the Water to The Ghost Writer. Riveted by the human response when people are pushed to extremes, even though Polanski is an uncredited filmmaker on Weekend, the Frank Simon co-production easily fits into Polanski's own filmography. Jokingly chided that as a racing driver, he’s a very good film director by a nervous Stewart who later laughs that the blood spilled from his Grand Prix morning shave has supplied the helmer with the requisite gore demanded by a Polanski picture, the film walks that fine balance of violent danger and seductive glamour evident in his other work. And sure enough, Stewart echoes this, acknowledging that the “anything can happen,” air of a race is inevitably what draws the sport’s spectators. With racers like Mario Andretti wailing around the city streets on cars that maneuver like they’re on a “knife’s edge” dangerously close to the crowd with the threat of a crash just a shift away, Stewart theorizes the allure of Formula One while doing everything he can to keep safe. Likening the car to “a best friend,” “wife,” or “fantastic affair,” there’s undoubtedly something sexual about the injection he says he feels when behind the wheel where undoubtedly the three weeks of anticipation and foreplay have paid off as he can “become one with the car” while going all the way to the finish line. 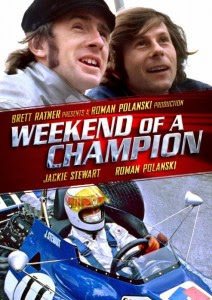 Although the newly added twenty minute contemporary postscript added by Polanski that finds the two friends reminiscing in the same suite they stayed in years earlier is interesting as it better acknowledges Stewart’s loyal, beautiful and courageous wife Helen as he discusses his efforts to make racing safer, ultimately it doesn’t offer any other new insight into the aforementioned weekend. To this end, perhaps it would've better appreciated as a behind-the-scenes DVD extra as others have suggested. While fans will undoubtedly enjoy the conversation, the slice-of-life, place-in-time snapshot is so complete on its own that it’s a bit jarring for those who had gotten into the flow of the race, (similar to the way Stewart had in ’71) to be quickly pulled back into the current reality. Almost destroyed by archivists who called Polanski and asked him what to do with the original film negatives, Weekend is a riveting discovery. Likewise it makes a terrific follow-up and companion piece to the recent slew of titles about the racing world from the informative historical chronicle documentaries 1 and Senna to the indie biopic Snake and Mongoose as well as Ron Howard’s big screen Rush. A wonderful filmic flashback to that weekend in May when Polanski and Simon journeyed to Monaco to bring us a portrait of his friend (and artist in his own right), Champion zooms in on the mindset of Stewart – determined to do whatever it takes to ensure that come race day, he won’t be asleep at the wheel but all revved up and ready to go.